Big family? Look no further! 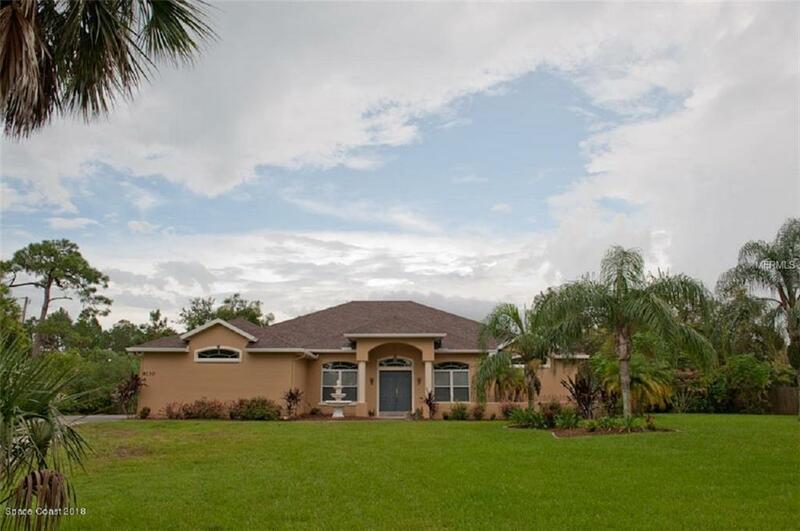 Beautiful 5 bedroom/3 bath, one story home with large screened 28X40 paver patio in sought after Windover Farms is ready for you. 1.03 acres allows room for pool if you desire. Outside of home painted July '18. Roof and skylights replaced March '18. Updated kitchen cabinets, stainless appliances, soaring ceilings, 34X17 family room PLUS 20X15 living room! Double split plan. Master on one side of house, separate bedroom with pocket door bathroom AND Jack & Jill bedrooms with additional private bath on other side. Ring doorbell system, security cameras, smart water sprinkler system and SO MUCH MORE, come and see!